We are the preferred Miami Wedding Photography Studio of Brides around the world! As one of Miami's top wedding photography studios, we offer the most comprehensive wedding photography packages and services in Miami, Florida. 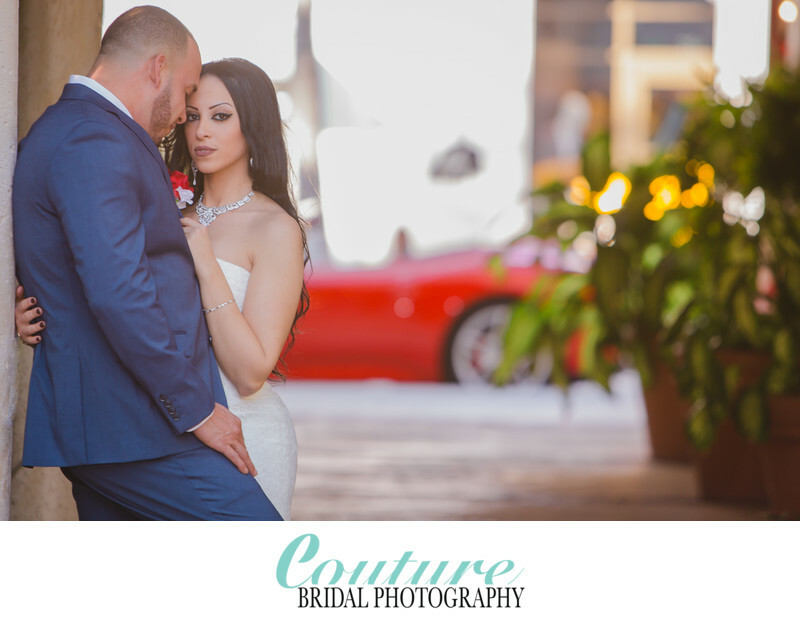 Couture Bridal Photography founded in 2008, is among the best Miami Wedding Photography studios offering the most distinct and artistic wedding photography styles by any photographer in Miami. 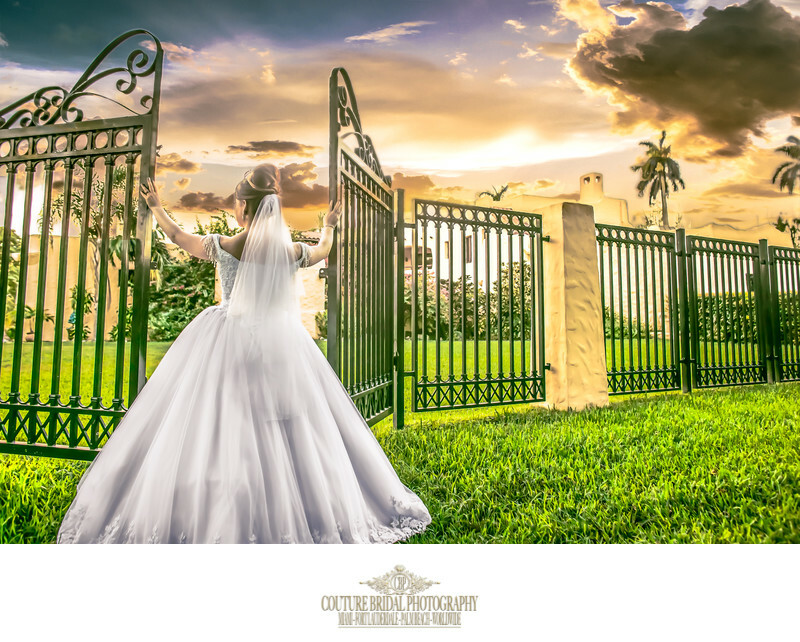 Lead by master photographer Alfredo Valentine, Couture Bridal Photography is the sole boutique luxury Miami Wedding Photography studio preferred most by celebrities getting married in Florida and around the world. Couples planning to get married in Miami choose us at the most trusted Miami Wedding Photography studio for amazing images, services and prices. We offer engagement photography sessions, custom designed handmade Italian wedding albums, stunning videography and fun photo booths. Additionally, Couture Bridal Beauty is the the first wedding hair and bridal makeup studio owned and operated by a wedding photography studio in the United States. Brides can add complete wedding makeup and bridal hair styling along with their wedding photography, including full wedding makeup and hair trials with their engagement photo sessions. No other wedding photography studio offers the most important services brides need on their wedding day in one place. We are also connected and work with some of the best Miami wedding vendors to provide brides and grooms with the ultimate wedding day experience. 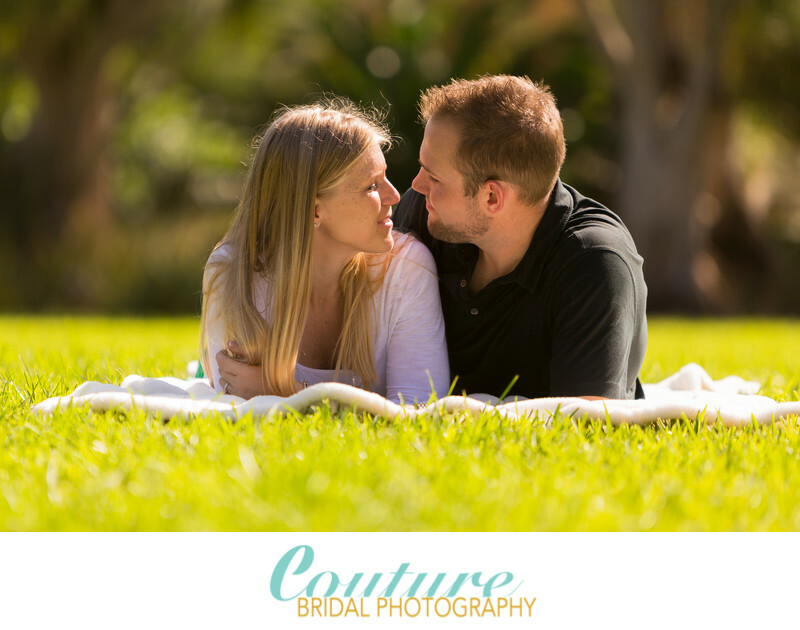 Couture Bridal Photography offers the best Miami Wedding Photography services throughout South Florida. Couples and celebrities hire us as the best Miami Wedding Photography studio to photograph weddings throughout The Florida Keys, Fort Lauderdale, Boca Raton, Deerfield Beach, Hollywood, West Palm Beach and Town of Palm Beach. Brides, grooms, celebrities and professional athletes hire us, as the number one Miami wedding photography studio with the best variety of wedding photography services in the United States. We are the most sought out and preferred Miami wedding photography studios in Miami for our distinct and artistic wedding photography style. This style was carefully crafted over 20 years of practice and study on photography starting with film photography in the late 1980's and early 90's when Alfredo Valentine began his passion for photography. Creating beautiful wedding photos is a process that begins when a photo is taken. I will outline the 3 steps Couture Bridal Photography uses to create the most amazing wedding photography in Miami and around the world. We use a proprietary mixture of editorial, illustrative, fashion, glamour and photojournalism to capture the most spectacular wedding day images. These images are created as moments take place or carefully posed depending on what portion of the wedding day is being photographed. Another approach we use is letting couples act naturally with a little direction as the photos are being taken. During the course of the wedding day we also make sure to photograph the details like rings, shoes and dresses in a stylistic commercial photography style for amazing editorial styled images. Brides and grooms also have an enjoyable and exciting wedding day photography experience with us, because we keep the mood light, fun and exciting. This approach to taking the picture throughout a wedding day makes us the best Miami wedding photography studio in the United States. Our wedding photography studio begins the photo editing process by meticulously backing up every image captured throughout the wedding day on multiple hard drives and an off-site storage. After every wedding images is properly backed up, we review every image and remove any images that have closed eyes, awkward looks, and blurred movement. The images that are left are carefully editing using the latest and greatest photo editing software with our own presets created in-house for a unique and distinct look. 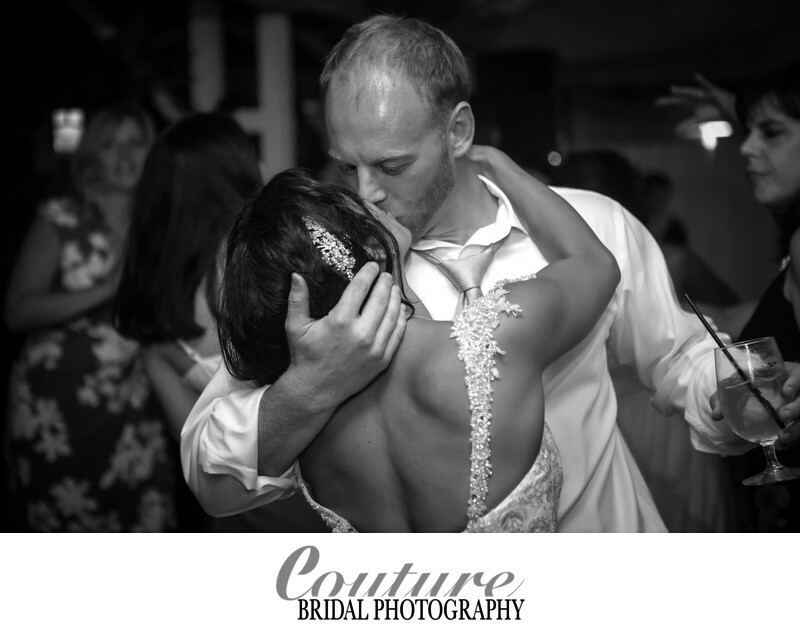 Couture Bridal Photography's capture and editing style is what makes us the most distinct Miami wedding photography studio throughout the United States and most chosen by couples for destination weddings around the world. We deliver a couples wedding day photos via a personalize online password protected gallery. Couples can download and share every image with their family and friends easily and post their wedding pictures on social media. We also deliver an custom designed wedding album with the best photos of the wedding day in chronological order to tell a compelling wedding day love story with images. One of the most popular options couples planning destination weddings throughout the United States and around the world is hiring Couture Bridal Photography, as the best Miami Wedding Photography studio for destination weddings. We provide the best discounts and incentives for brides and grooms to take the best Miami wedding photography with them anywhere around the world to capture their wedding in a way no one else can. Additionally, couples don't risk not receiving their pictures or having issues with photographers who might take advantage or commit fraud costing couples thousands of dollars and a bad destination wedding experience. Book Couture Bridal Photography for the best Miami Wedding Photography around the world. 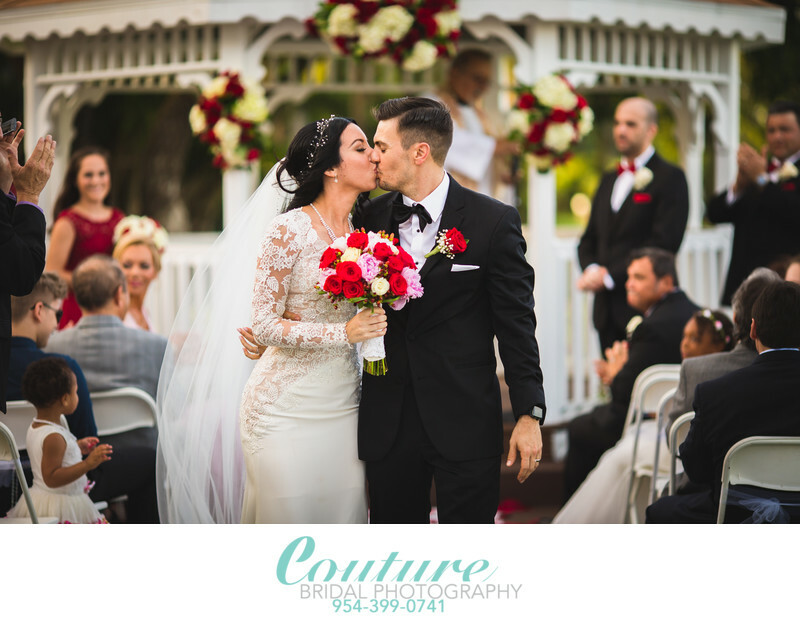 Couture Bridal Photography is conveniently located at 1514 Capri St, Coral Gables, FL 33134 to provide the most convenient wedding photography consultations. Location: 3251 South Miami Ave. Miami, FL 33129. 1/125; f/3.5; ISO 400; 24.0 mm.